Adamsons Photo Trade deals in professional digital cameras, handy cams and accessories. 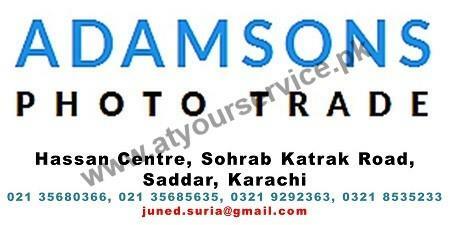 Adamsons Photo Trade is located in Hassan Centre, Sohrab Katrak Road, Saddar, Karachi. It deals in professional digital cameras, handy cams and accessories.